Allentown College of St Francis, B.A. 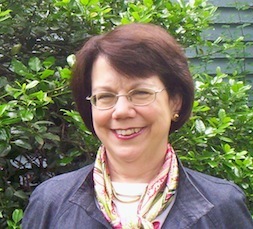 Alice A. Noble, holds a law degree from Villanova University School of Law and a Master of Public Health degree from Harvard School of Public Health. In addition to teaching at Brandeis University and the Heller School, she has taught numerous courses at Harvard School of Public Health, Boston College Law School, and Tufts Medical School. Courses taught include Genetics, Law, and Society, Health Law and Ethics, Health Law and Policy, Law and Public Health, among others. She has practiced personal injury and medical malpractice defense litigation, has conducted funded research on health policy issues, and was a fellow in medical ethics at Harvard Medical School and a Senior Researcher at The American Society of Law, Medicine & Ethics. She has a number of peer-reviewed publications on topics such as medical malpractice, managed care, and hospital law. She is a contributor to the Health Affiars Blog, Health Law Professors' Blog, and along with Professor Mary Ann Chirba and Attorney Michael Maddigan, she is a co-author of Health Care Reform: Law and Practice (Lexis/Nexis 2013), a detailed guide and analysis of the Affordable Care Act and its implementing regulaitons. Mary Ann Chirba, Alice A. Noble, and Michael Maddigan. Health Care Reform: Law and Practice. 1st ed. Albany: Lexis Nexis/Matthew Bender, 2013. Noble, Alice A and Mary Ann Chirba. "On the Individual Mandate Argument: Beyond Uncompensated Care." Health Affairs Blog (2012): <http://healthaffairs.org/blog/2012/03/28/alice-noble-and-mary-ann-chirba-on-the-individual-mandate-argument-beyond-uncompensated-care/>. Noble, Alice A. "T. Montini, A. A. Noble, and Henry Thomas Stelfox, Content Analysis of Patient Complaints, International Journal for Quality in Health Care 2008;." Journal for Quality in Health Care 206. 6 (2008): 412-420.